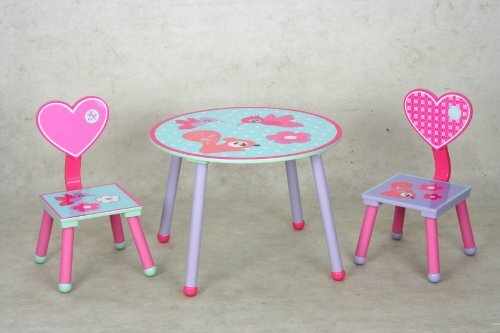 Table Top and Chair Tops are painted with flowers, birds, and squirrels. 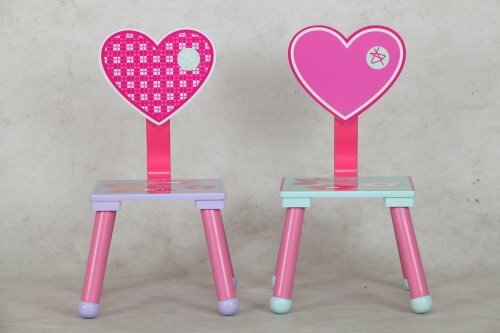 Chair backs are made of pink hearts. Any child would love this adorable set. 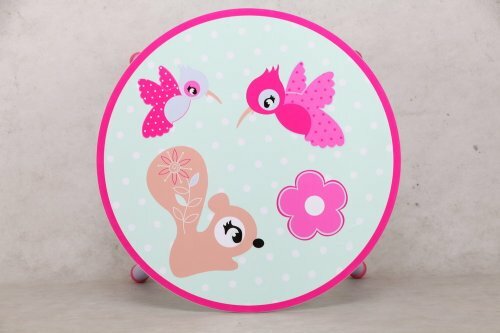 Table Top and Chair Tops are painted with flowers, birds, and squirrels. 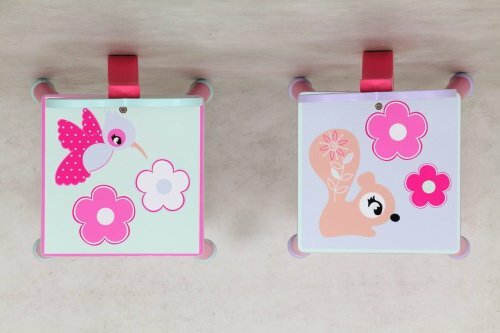 Chair backs are made of pink hearts. It's perfect for your kids' learning and entertainment activities, such as reading, painting, game playing. Table: 23.5 Round x 17"H; Chairs: 21"H x13.75"W x12"D; Chair's Seat Height: 9.125"
Manufacturer: Chicago Stool & Chair, Inc. Publisher: Chicago Stool & Chair, Inc. Studio: Chicago Stool & Chair, Inc. If you have any questions about this product by eHemco, contact us by completing and submitting the form below. If you are looking for a specif part number, please include it with your message.